Have You Ever Wondered What It Would be Like to Live in Chicago? Now is Your Chance! 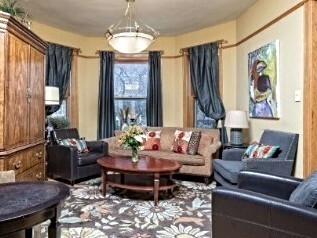 There's no better neighborhood to 'Live Like A Local' than Lakeview! This northside neighborhood is lively & vibrant and represents one of the city’s greatest concentrations of live theater, entertainment and dining attractions. ​Whether you are a business or leisure traveler, looking for a short-term stay or vacation get-a-way, you're sure to find the Chicago Guest Houses in Lakeview will exceed your expectations--that is our promise! 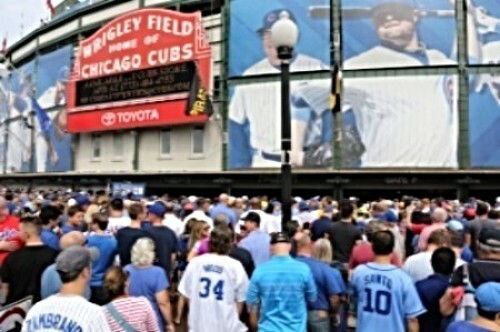 ​​Where you can enjoy the festive atmosphere of Wrigleyville without the crowds! It is here that you will find an incredible selection of restaurants, cafés, bars, groceries, and shopping---big name chains & unique boutiques. Continue to stroll along Belmont Ave, Sheridan, Halstead and you’ll see why Lakeview has the reputation of being the hippest shopping district in Chicago. “Family friendly” best describes the Southport Corridor of Lakeview. Southport Avenue is filled with families pushing strollers and walking dogs, sitting at the local café’s and restaurants; many of which have stroller valets, step stools in the bathrooms, and free meals for kids during certain hours of the day. ​​A lively little pocket in the Lakeview neighborhood that surrounds historic Wrigley Field, the second oldest stadium in baseball and home to the beloved Chicago Cubs. Quiet by day—lively at night. The 'go to' neighborhood for people in search of bars, live music & entertainment and dining. The Lakeview music venues and concert halls tops that of any other area in Chicago. Bands travel from around the world to play shows here. Tiny dives with a stage in the back of the bar are just as established in the music scene as the large theaters that seat thousands. On games day Clark street overflow with the masses of Cubs fans looking to celebrate a WIN! ​​The city's Boystown neighborhood is one of the LGBT communities in the United States. Hard not to notice as the buildings and streets here are adorned with colorful pylons & banners. It is here that you will find an outstanding selection of dining options, and a dance scene that can’t be beat----definitely a neighborhood with an energy all its own! The area's notable events---the Chicago Pride Parade and Market Days, attract more than one million spectators and visitors of EVERY background and sexual orientation each summer. Great food, star music talent and awesome crowds. So much fun! There are over 50 theaters located within a 1 mile radius, officially makes Lakeview the largest theatre district in Chicago. The BTD offers theater lovers the best of edgy neighborhood theater, the country’s largest concentration of improv theaters, daytime & late-nite shows, adult and all ages shows, standup comedy and dinner theater. Not to be outdone by its extraordinary entertainment landscape, Lakeview makes full use of its slice of the northern end of Lincoln Park. Here you will find the scenic Lakefront Trail, a golf course and driving range, a boat harbor, a bird sanctuary, tennis courts and grassy playing fields that are also perfect for picnics or just enjoying the amazing views and people watching!